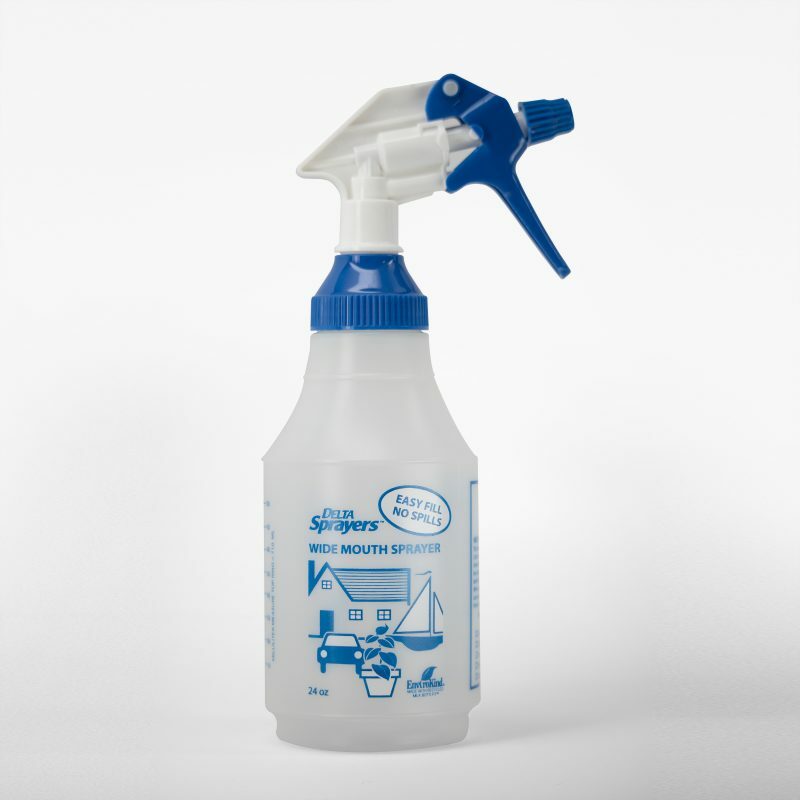 EnviroKind® Wide Mouth Multi-Purpose is an innovation in spray bottles that eliminates the need for a funnel. The 40% larger neck opening allows for easy pouring and fewer spills. The wide mouth multi-purpose bottle has check off grids and graduation scales for identifying and measuring contents.